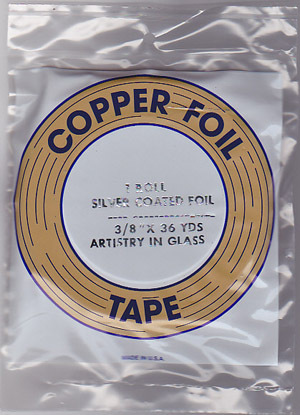 Select from a variety of copper foils such as the New Wave, with its' scalloped edge, or from copper backed foil, black backed foil, or silver backed foil in a variety of widths. 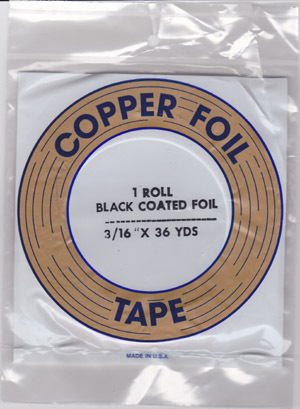 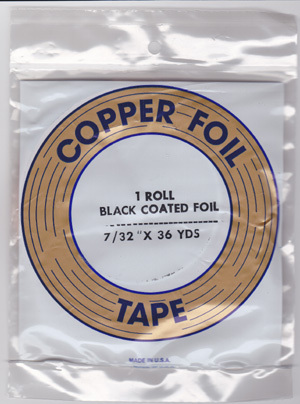 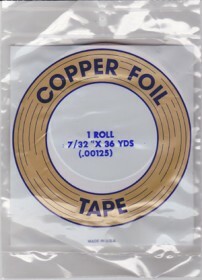 We will be carrying the Edco brand of copper foil. 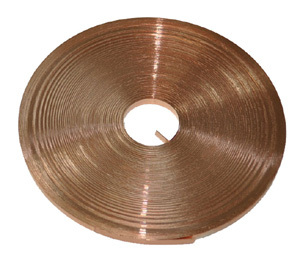 Edco uses a "Dead Soft Copper" that adheres to your glass. 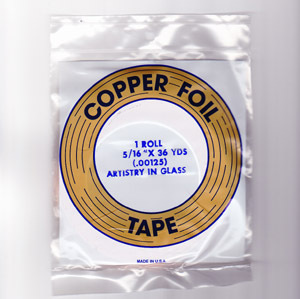 All Edco adhesives withstand all chemicals that you may use as well. 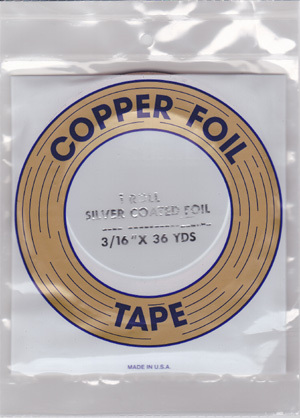 The shelf life of Edco foil is guaranteed for a minimum of one (1) year. 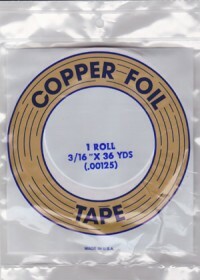 All Venture and Edco tape rolls contain 36 yards. 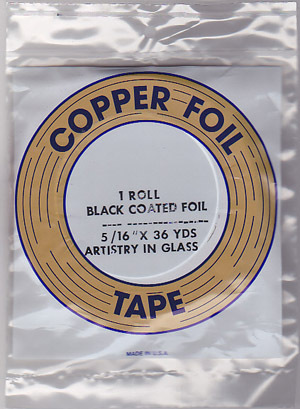 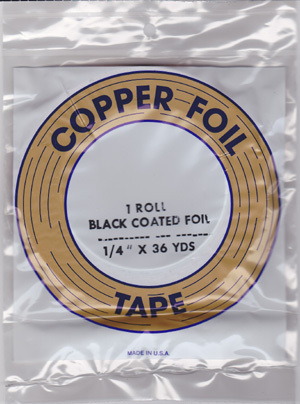 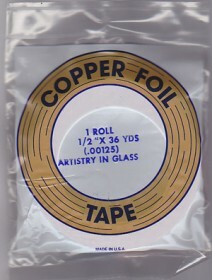 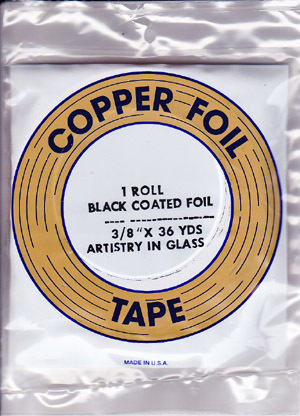 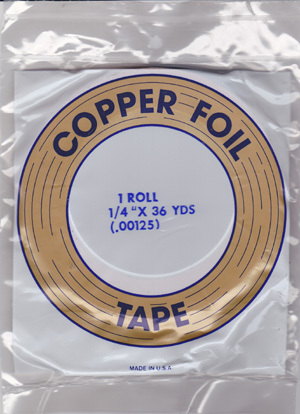 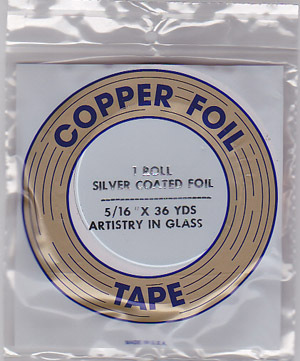 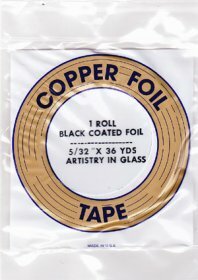 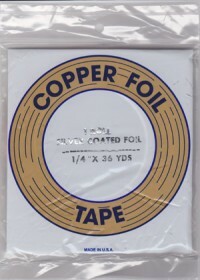 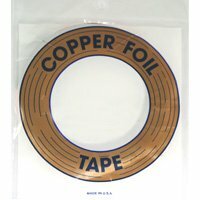 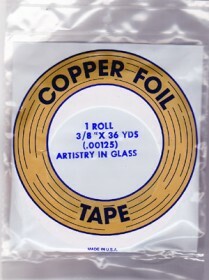 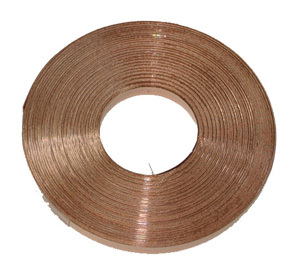 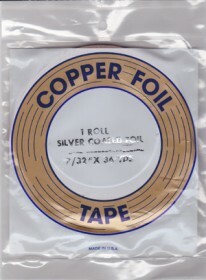 A variety of copper re-strip, copper foil sheets and squares and copper rolls can also be found.